One of my close friends called me and said his son, who had recently graduated college, was looking for a good financial services firm he could do business with in the city where he was living. He remembered that I had a client in that city and wanted to know if I could help his son. I immediately introduced him through email to the vice president of that financial services company. What could be better than a solid, warm introduction to a senior VP by a family friend? Case closed. Or maybe not. A few days later I asked my friend how things were going with his son and the company I referred him to. I was expecting him to tell me how great everything was and to thank me for the introduction. Instead, he told me that his son never followed up with the VP after the introduction because he went online and didn't like some of the negative reviews this company had. Word of mouth is no longer the #1 marketing vehicle. Companies spend millions of dollars every year creating and advertising their brands, yet the customer's experience is what drives customer perception. Consumers have less patience and are more outspoken than ever before. Customers are no longer tolerating subpar service, indifference, and un-empathetic businesses, and they are standing up for themselves. They won't take it any more, which has resulted in the "customer rebellion." You are creating either brand ambassadors, or brand terrorists doing brand assassination. For hundreds of years, the best form of advertising was word of mouth. Today, it is word of mouse. Social media represents a gigantic power shift back to the consumer. Now consumers can share their displeasure with thousands of others with just a click of a button. 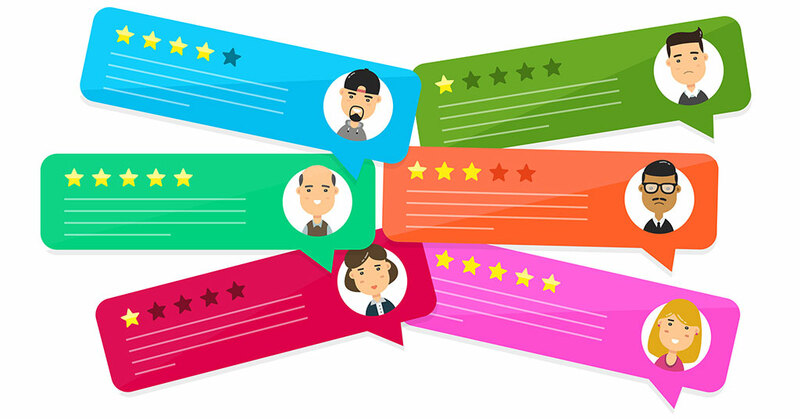 According to a report from FleishmanHillard, the company found that 9 of 10 consumers (89 percent) turn to online reviews to find information on products, services, or businesses before making a purchase. What you do well--and not so well--will be broadcast to hundreds, if not thousands, of potential customers. They expect your company to be easy to contact and quick to respond. Customers no longer trust just what someone tells them. Instead, they will go directly online to see what hundreds (or thousands) of customers are saying about the experience your company delivers. Too many companies think the only answer is to get as many people as possible to share positive reviews. That helps, but it doesn't fix the root of the problem. To do that, you need to focus on making sure that every person you do business with walks away with a positive experience--and if they don't, do your best to fix it. To compete in today's online world, where word of mouse has replaced word of mouth, you must make it easy for customers to share their feedback with you. Most important, follow up, make it right, don't be defensive, don't make excuses, trust what you customer is telling you, and be a zero-risk company to do business with. Your customers will appreciate it--and so will your bottom line.